Large bush format with dark green felt textured leaves. 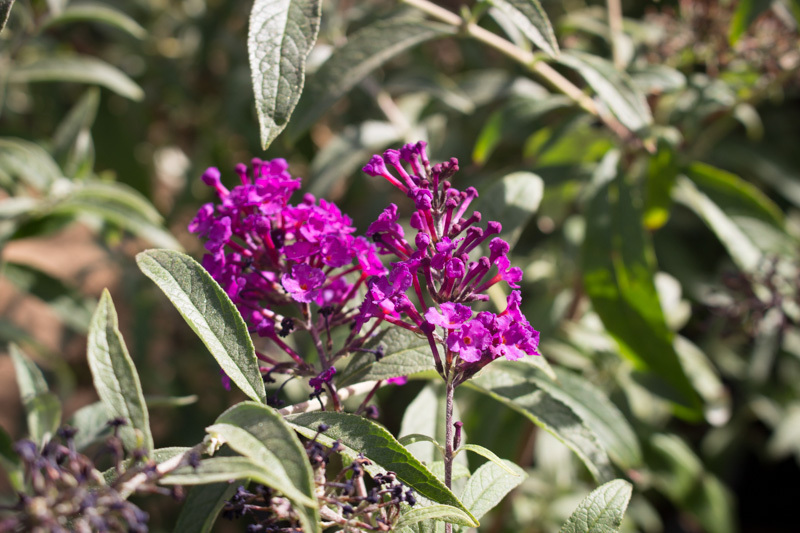 The tiny purple flowers grow along a spike that can be 6″-12″ in length. 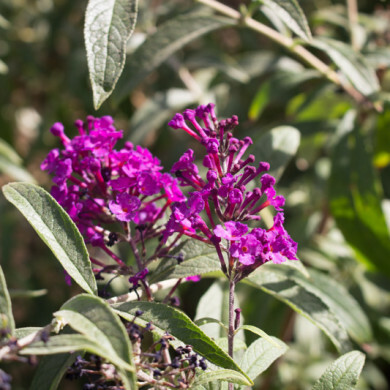 These blooms attract butterflies with their fragrance. Can be cut back before spring to allow for new growth.